It’s that time of year again, folks. The gyms are packed, Whole Foods is flooded, and the liquor aisle is looking like an abandoned town in an old western movie. It’s the New Year, a time for resolutions and reinventing yourself. “New Year, new me” as the kids say. But how often do we actually stick with these resolutions? According to the internet, about 80% of people fail to commit, and we get it! It takes 21 days to fully kick a habit (or start one) which is easier said than done. But what if there was one resolution we could help make sure you accomplish? Getting organized is one of the most common resolutions and more than likely on your list for 2019. We’re here to check off that oh-so-satisfying box by giving you some helpful tips on how to clean out the dreaded underwear drawer. We know, we know…you have mismatched socks, workout underwear, fancy underwear, notes from seventh grade, one stamp in case you have to send a letter...there’s a lot going on in there. But here is what we suggest for tip number one: dump everything out and throw it all away, you don’t and won’t need it. Now that your drawer is completely empty, tip number two is to pick out a 6 or 10 pack on our website and expedite that shipping because you just threw away the last of your underwear. Tip number three is about staying organized. It’s not only about getting organized, but it’s also about keeping it that way. Try rolling or folding your Undies instead of just throwing them in your drawer. As tempting as it is to shove your garments in and be done with it, the real key to staying organized is by putting everything back in its place, or in the case of laundry...putting your clothes away neatly. If you commit to the consistency of folding/rolling your Undies, we promise every time you open your dresser you will feel nothing but pure bliss at the sight of such a picture perfect drawer. 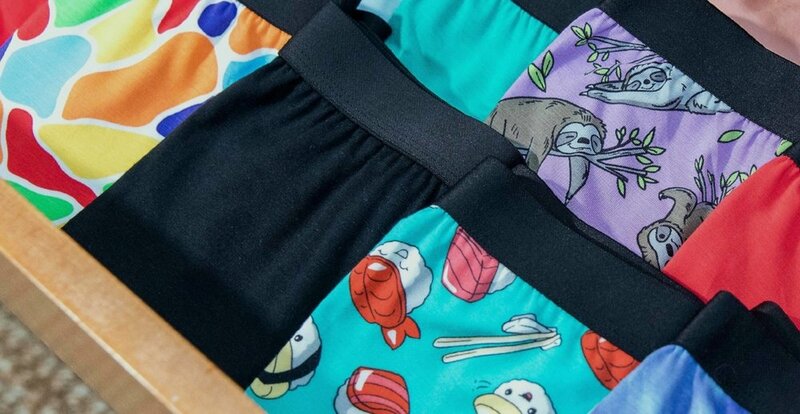 (Hint: If you really want to level up your drawer, there are some really affordable storage boxes out there that you can use to separate undies from socks, or whatever else you want). However, if you’re more like the turtle instead of the hare and buying underwear in bulk is intimidating, sign up for The Membership and slowly start to revamp your collection. With Undies being shipped once a month, every time you get a new pair, throw an old one out. 2019 may seem scary, but just take it one day at a time and always remember to stay comfortable. We will get through this next year together!